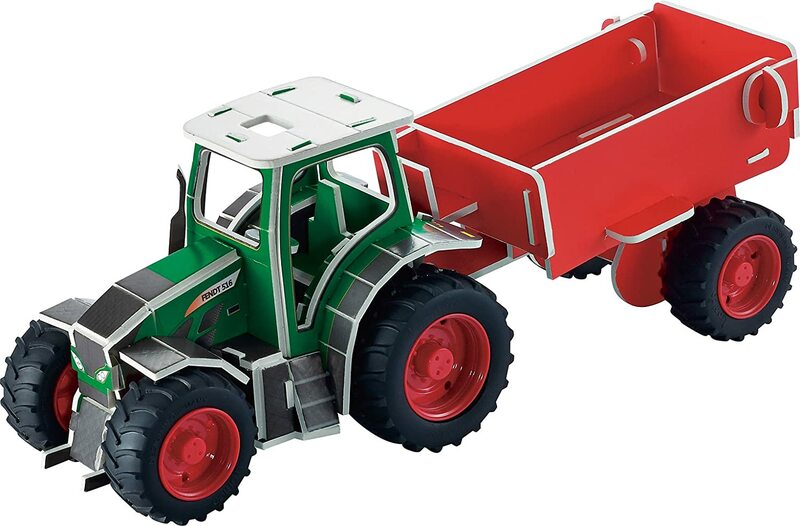 Do you already know the new 3d puzzle tractors with trailers? They are on scale 1:32, so just like our Mini Series. 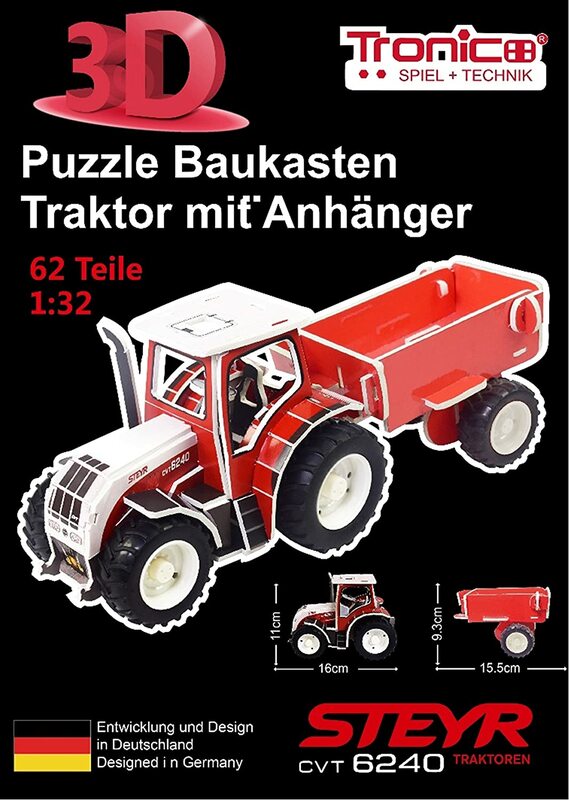 The tractors are not screwed together, but simply plugged. 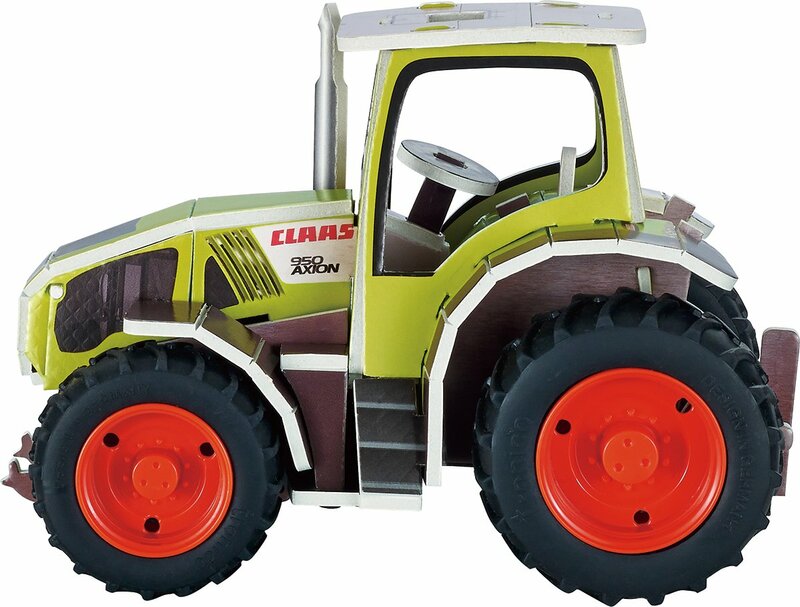 Parts made of cardboard with a core of EPS foam are used. 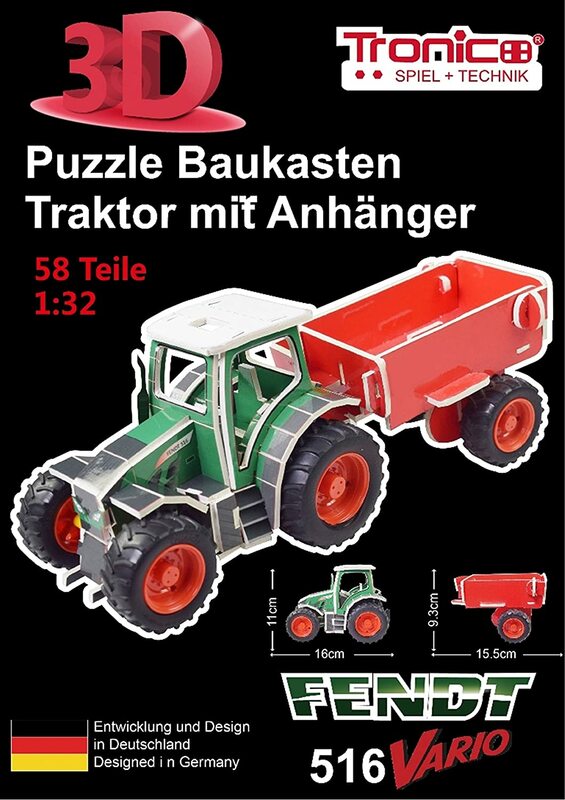 We have tractors from Fendt, Claas, Steyr, New Holland and Case IH.